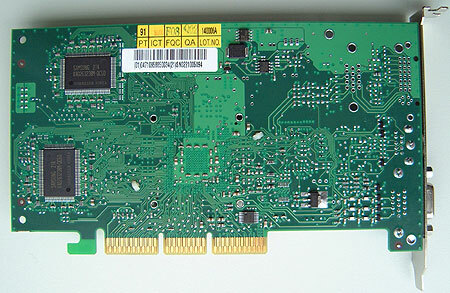 Abstract: The Albatron GeForce4 MX440 videocard is a no frills videocard targeted towards the budget conscious gamer. Alba... who? You're forgiven for not knowing who Albatron is even though they're not exactly a new company. Like most other manufacturers, have already adopted nVidia based videocards. 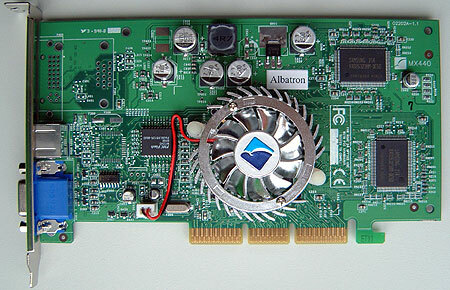 The Albatron GeForce4 MX440 videocard is a no frills videocard targeted towards the budget conscious gamer. Based on the reference nVidia GeForce4 MX440, the Albatron MX440 doesn't have many features. The Albatron MX440 has one 15 pin analog output as well as a S-Video out. The card uses Samsung DRAM with a 5 ns rating and the GPU with a core clock of 270 MHz is cooled by a rather neat looking heatsink fan combo. Upon removing the heatsink off the GPU we were very pleased to see that Albatron took the extra step and added some thermal paste. Jack Ko, the fomer CEO of Gigabyte officially retired in the middle of at the age of 40 with the satisfying feeling that Gigabyte was well off and had a bright futre. After the events of Sept 11th 2001, he changed his mind about retirement and wanted to get back into the computer industry. One day Jack was introduced to the owner of Albatron (formerly known as Chun Yun Electronics) and they started talking about future of IT. After talking for a bit, Jack Ko decided to invest in Chun Yun and lead Albatron into the future as CEO.